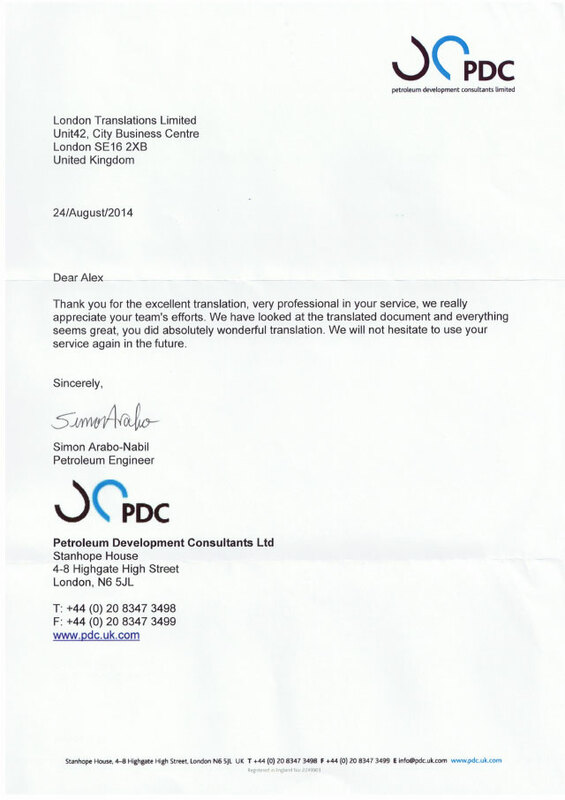 Thank you for the excellent translation, very professional in your service, we really appreciate your team’s efforts. We have looked at the translated document and everything seems great, you did absolutely wonderful translation. We will not hesitate to use your service again in the future.